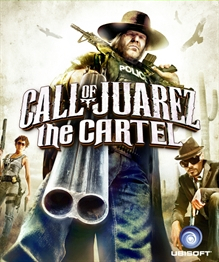 According to reporting by TrueAchievements.com, Call of Juarez: The Cartel was relisted exclusively on Xbox 360 in September of 2018. The original delisting information follows. Call of Juarez: The Cartel was delisted from Steam on March 30th, 2018. The Games on Demand version was presumably removed on Xbox 360 around the same time. Call of Juarez: Gunslinger was also delisted on March 30th on Steam, PlayStation 3, and Xbox 360. The reason for the delisting — which leaves Call of Juarez 2: Bound in Blood as the only title in the series available on all three platforms — is a mystery. Call of Juarez: The Cartel isn’t offered directly from Ubisoft’s own uPlay store and its online services were shut down in November of 2017. The game remains available on physical media for PC, Xbox 360 and PlayStation 3. Possible causes include a licensing issue with music or other media in the game, an expired agreement between Ubisoft and the game’s developer Techland, or most likely, low sales of the game over the last several years. Thanks to ElvisWV for submitting this game to the site.